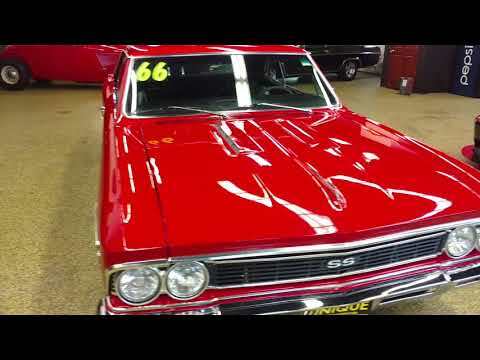 1966 Chevrolet Chevelle SS Tribute that absolutely rocks!!! The body and paint are amazing, then under the skin you have all of this! 502 CID V8 Engine w/ Custom Headers & Holley 4BBL Carb Electronic Controlled OVERDRIVE Automatic Transmission, Super Sport Hood & Emblems, 17 wheels, Disc Brakes ,Air Conditioning, Digital Dash, Bucket seats and console, Dual exhaust (sounds MEAN) VERY solid body and paint. GET IN AND HANG ON! You will NOT be disappointed with this car, it cruises down the highway nicely, but if you want to blow someones doors off at a stoplight you can do that too! Please email or call 507-386-1726 with any other questions. TRADES/ OFFERS CONSIDERED!